There are a number of exciting events that go on at Canada's National Ballet School throughout the year. Students in the Professional Ballet Program participate in a number of performances held at the School as well as abroad. NBS’s Assemblée Internationale, held every four years (2009, 2013, 2017) sees performances from students at participating professional schools in May, with much of the upcoming AI also available through livestreaming. The School's annual fundraising Gala, held in late winter provides guests with an opportunity to see students in the Professional Ballet Program perform as part of their Gala experience. The evening includes a cocktail reception, gourmet dinner, student performance and a variety of ‘experiences’ to follow the dinner. A luxury raffle sees students from the School engaging with guests prior to the draw in order to maximize funds raised for the School’s elite ballet training and broad community programs. Other performances and events not part of the School’s regularly scheduled programming will be highlighted on the website and through the School’s monthly enewsletter. 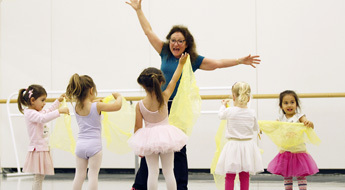 Want to stay up to date with Canada's National Ballet School? Sign up for the e-newsletter!